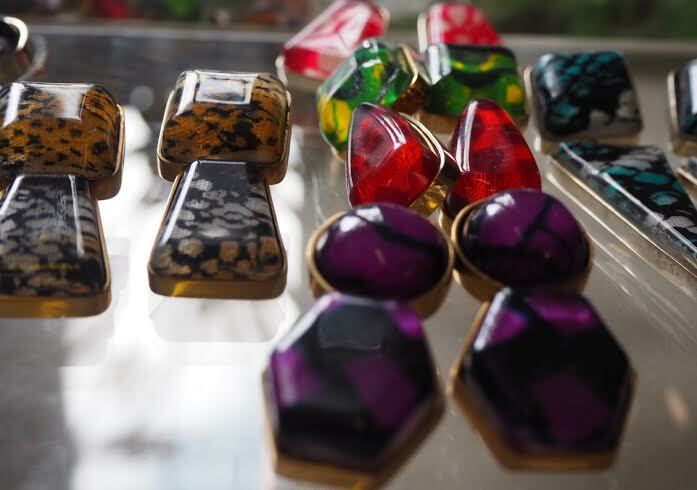 Vibrant, Chic and unique are the words that came to my mind when I saw the African inspired statement jewellery pieces displayed at Lewa Jewel’s North London workshop. 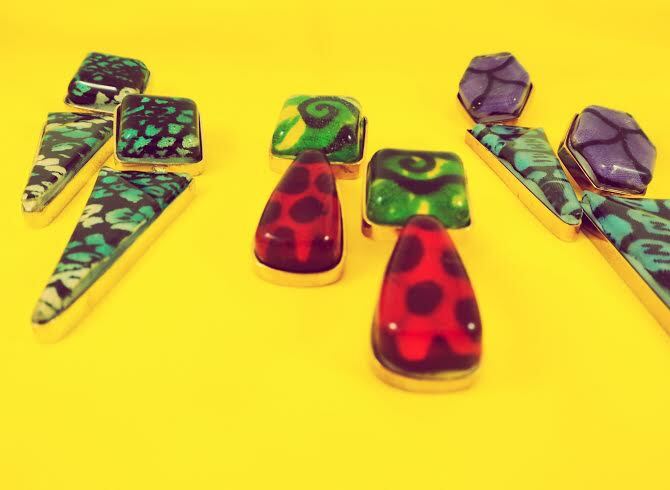 Shauna Edwards, the bubbly personality behind these pieces started making them as a hobby, as a way to express her creative side. It all started when she wanted to wear something as she puts it, that ‘reflected my personality’ to work and add a little pop to her work outfits. But soon she was getting requests for bespoke orders and sure enough her little hobby grew into something more serious. 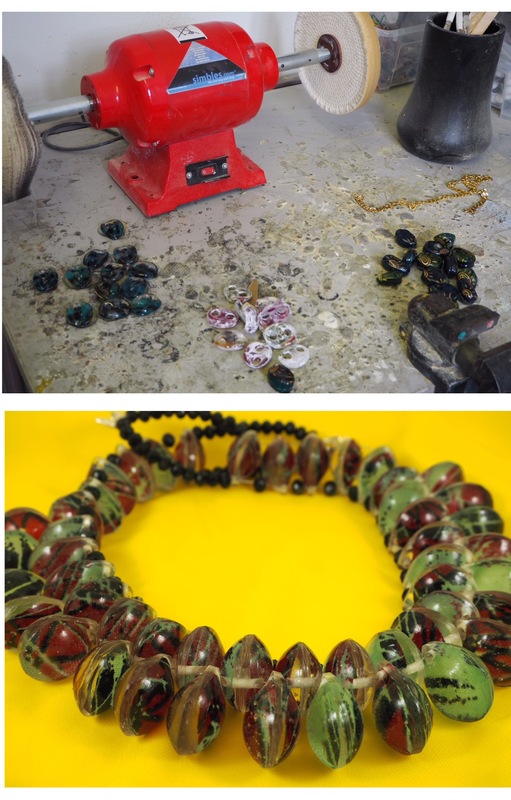 Before and After: Each bead is created individually and then polished before being used to create a piece. 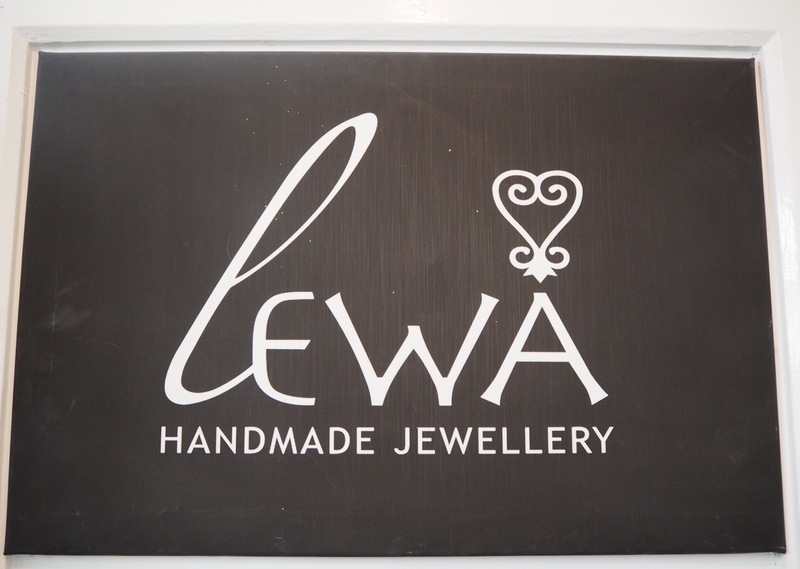 It is no surprise as her pieces are carefully hand crafted with each bead being created by her right here in her workshop and carefully polished before being assembled, the earrings carefully set in silver bezels. The end result? 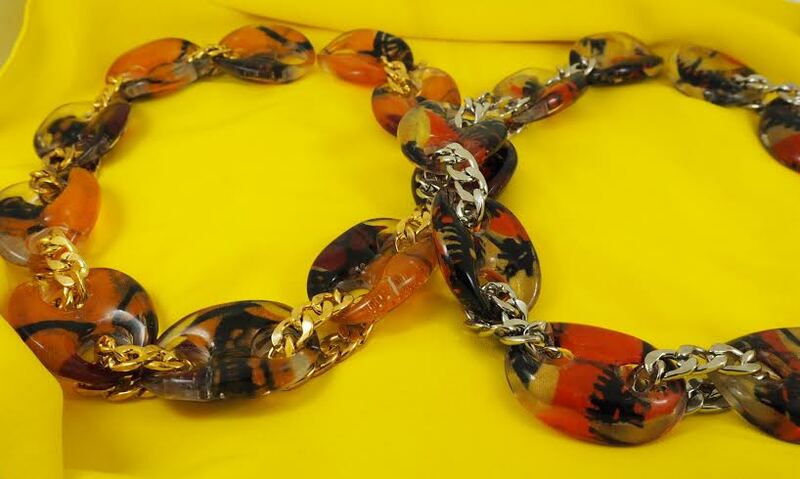 No piece of jewellery is ever the same as the other. 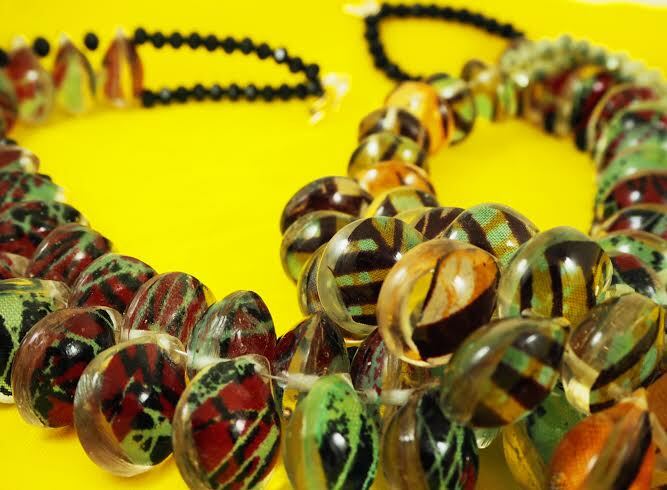 Each bead has African fabric infused in a solid resin, most times she dyes the fabrics herself to create a different pattern. Time consuming but definitely worth it! I love her creativity. Will definitely make an order soon. Thanks Zinnysbox for showcasing her work. It’s great that you love them too! Please let me know if you need more information on any of the pieces featured in the post.